Event metrics are used to justify your event strategy, evaluate ROI, and determine the ultimate success of your event goals and objectives. Crunching the numbers may not be quite as fun as hosting the event itself, but the results are pretty darn satisfying—and it’s much easier than you think! When the boss asks how an event went, saying “It went great!” isn’t enough—you need to show the hard numbers that prove the value of the event. Did the investment pay off? Are attendees doing what you asked, such as redeeming a coupon you gave out? Which marketing channels helped you meet your goals? Is the event worth doing again? If revenue is the ultimate goal of your event, then these metrics are essential. If ticket sales are the revenue driver, calculating net sales is the easiest way to measure the profit generated by the event. *On-Site Sales Revenue applies when you’re selling items at your event, such as branded merchandise, or collecting donations for a non-profit. Events that target sales leads, especially in the B2B sector, need to measure how many attendees become MQLs (marketing qualified leads) and SQLs (sales qualified leads) to calculate the sales opportunity value generated by the event. Event marketing is what gets attendees in the door, so it’s important to know which marketing channels generate the most interest and the highest conversion rate. When reviewing these metrics, attribution is key. Tip: Use UTM parameters to help you easily track your marketing initiatives in Google Analytics. When looking at traffic reports in Google Analytics, it’s important to make sure you’re looking at traffic specific to your marketing efforts, not just overall traffic on your site. How: In Google Analytics, navigate to Acquisition > Campaigns > All Campaigns. Select a specific campaign name to see a breakdown of sources and mediums (marketing channel) that drove traffic to your site as a result of your online event marketing activities. When we talk about conversions for events, we’re usually looking at attendee registrations. In other words, did the traffic we brought into the site result in event RSVPs or ticket purchases? How: Google Analytics allows you to create conversion goals to measure the effectiveness of your marketing efforts. After you’ve created your goal, you’ll be able to use the same Campaign report mentioned above and select that goal from the Conversions dropdown. Your conversion rate is automatically calculated and displayed. After looking at your traffic and conversion reports, you’ll be able to calculate the ROI of each marketing channel. 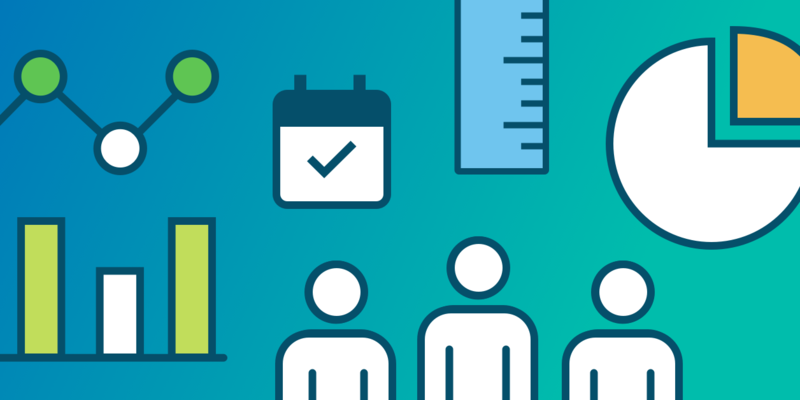 Since attendees are the core of every event, it’s important to track metrics for them, too. Timing is a big part of any event marketing strategy. Understanding when people register for an event allows you to adjust your marketing plan to focus on peak opportunity windows, such as early bird promotions or last-minute ticket releases. Attrition is the number of people that registered for your event but didn’t show up. It’s an incredibly important metric when it comes to your event budget. If you know your events have a 10% average attrition rate, for example, you can save money by adjusting catering orders at future events. Tip: If you’re using Event Tickets Plus, you can use the Attendee Report to quickly compare total attendee check-ins vs total tickets issued. Measuring event metrics is highly valuable, no matter which industry you’re in. It allows you to quantitatively measure your event success in relation to your goals and objectives, demonstrate tangible value, and validate your overall event marketing strategy. For more event tips and other news from The Events Calendar, sign up for our monthly newsletter.